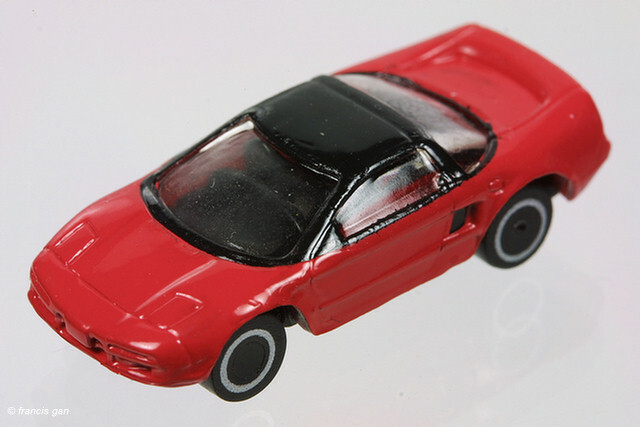 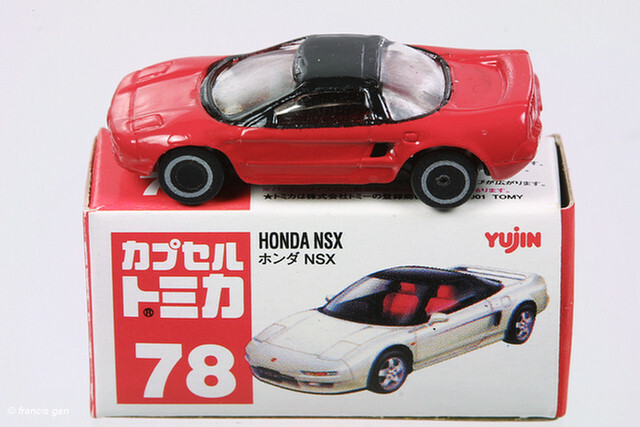 Tomy released their 1:100 scale NSX in crudely casted but still recognizable plastic. 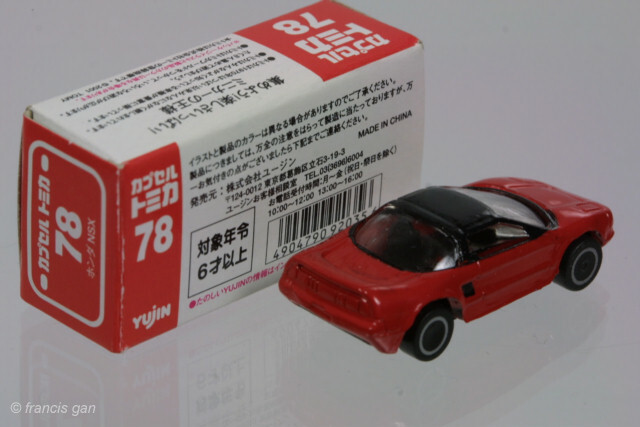 They lack the detail of the Dydo Navi 1:100 models. 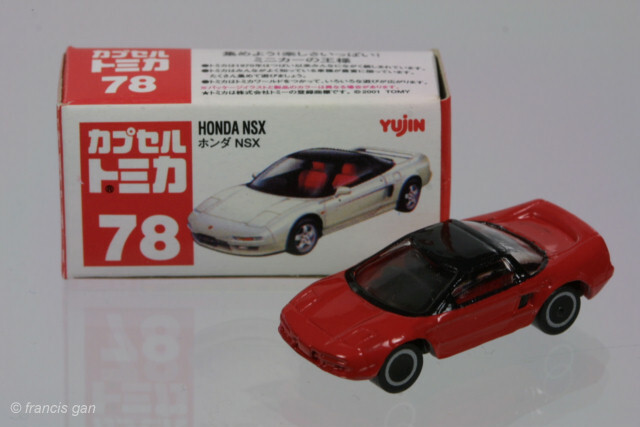 The Yujin NSX's were available in Formula Red (#78) with black roof and in Police Black/White (#120) with light bar. 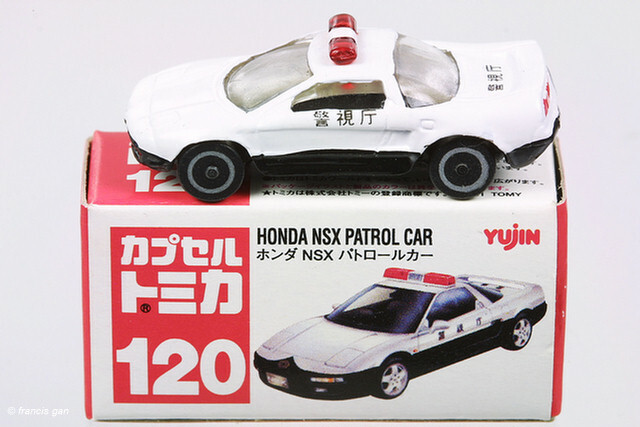 These Yujin NSXs have no interior and are missing side mirrors. 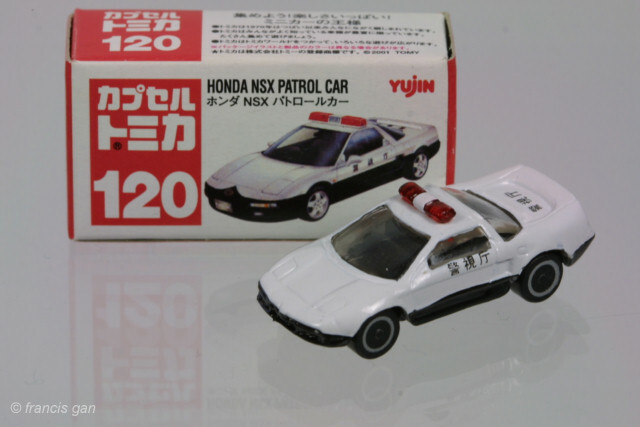 The police NSX does have finely stenciled japanese characters on the doors and trunk lid. 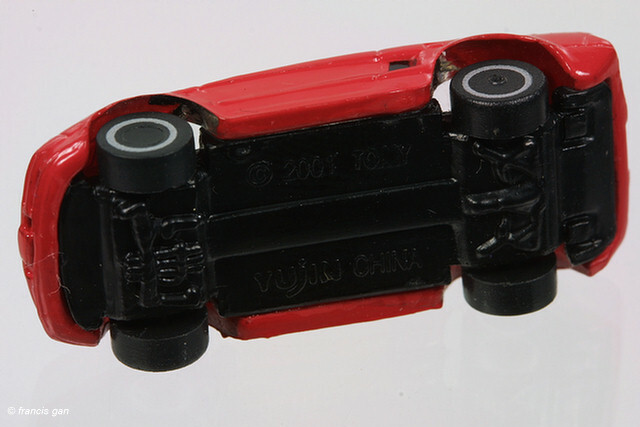 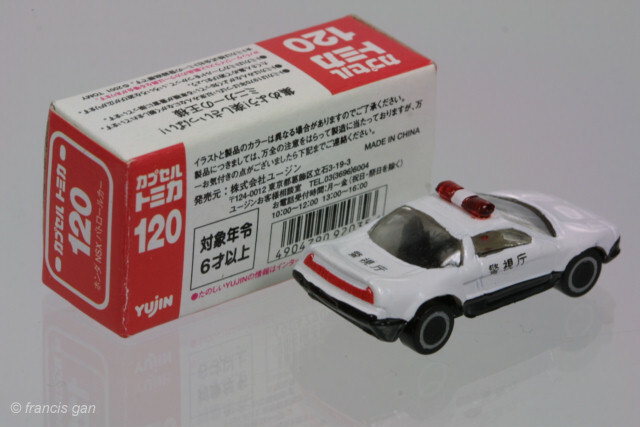 The wheels are miniature painted versions of Tomica Chrome lipped black wheels. 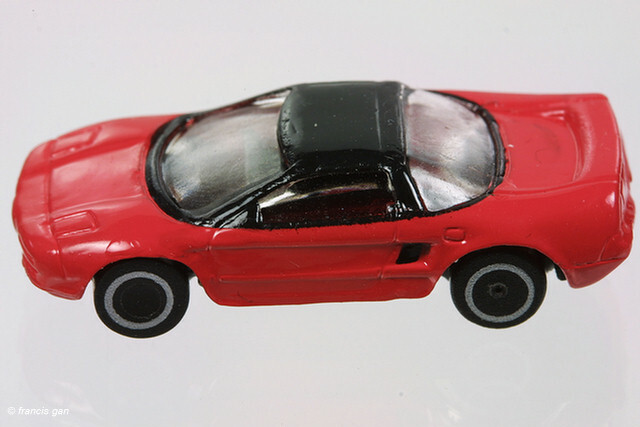 Undercarriage components are visible but not correct for the NSX. 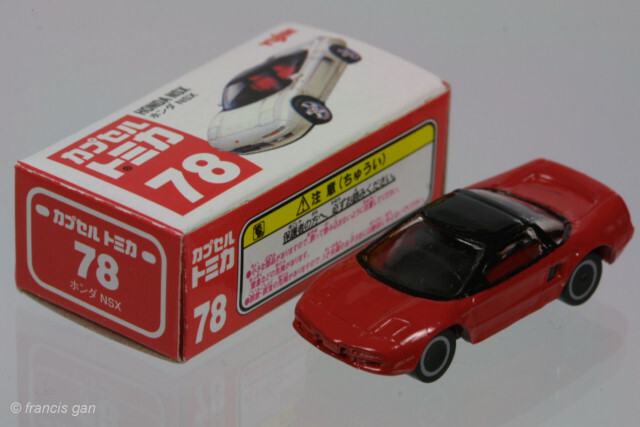 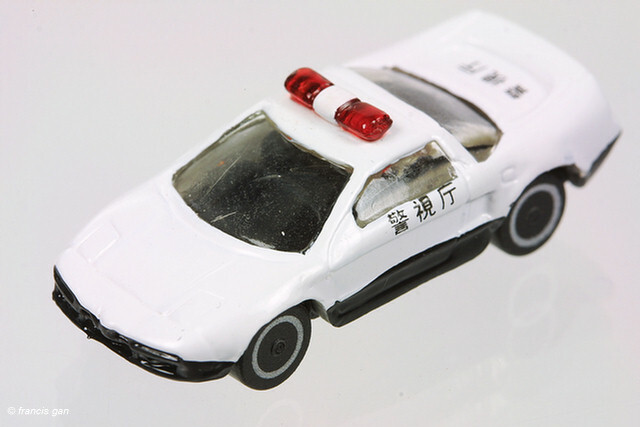 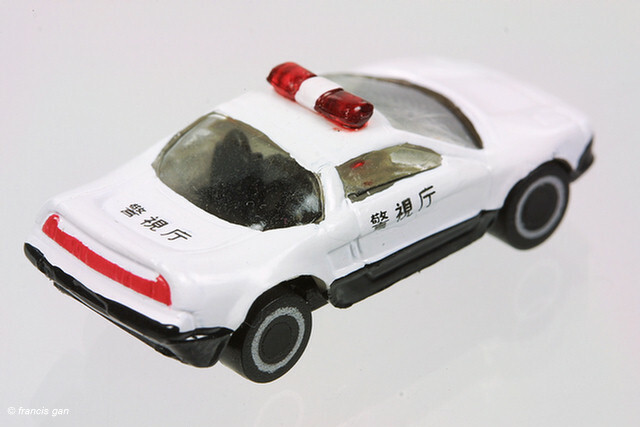 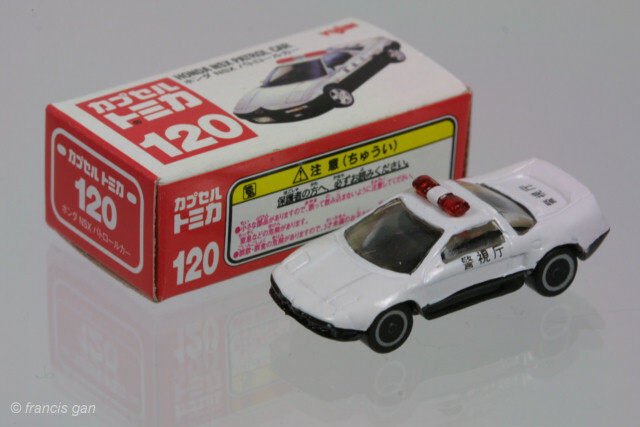 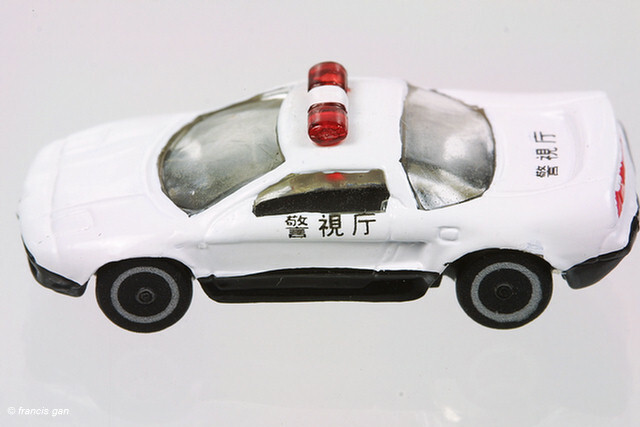 The cars come packaged in a miniature white/red Tomica boxes (about 1.5" x 0.5" x 0.75") that have the same design, graphics and even model numbers as their larger matchbox sized counterparts.